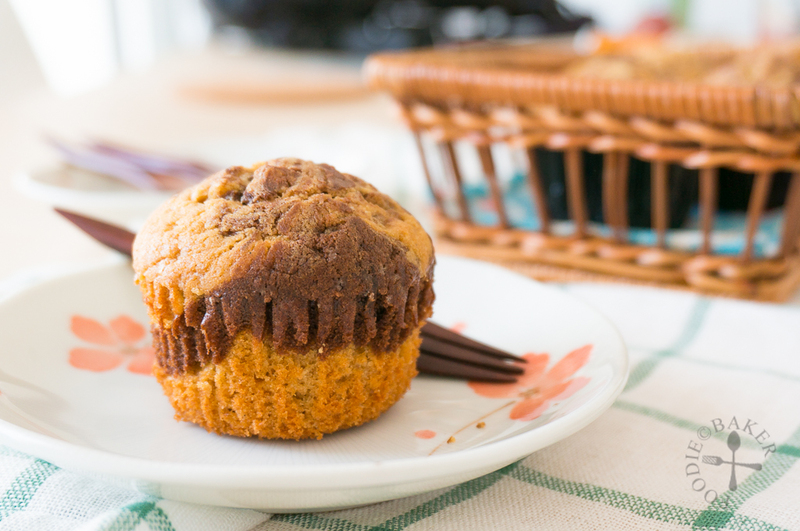 Since I have leftover peanut butter from my previous cupcake bake and that we don’t eat white bread with spread for breakfast (X hates that kind of bread and I usually have a more heavy brunch), I decided to look for a cake recipe that can be eaten as breakfast or snack – a win-win situation for both of us. So while browsing for a cake recipe in Cake Keeper Cakes (which is a pretty good cookbook in my opinion as it has 100 cake recipes which are not simply base cakes with a few modifications, but a wide variety of cakes and most of them seemed relatively easy), I stumbled upon a Peanut Butter Pound Cake (with chocolate chips) which seemed perfect for breakfast. 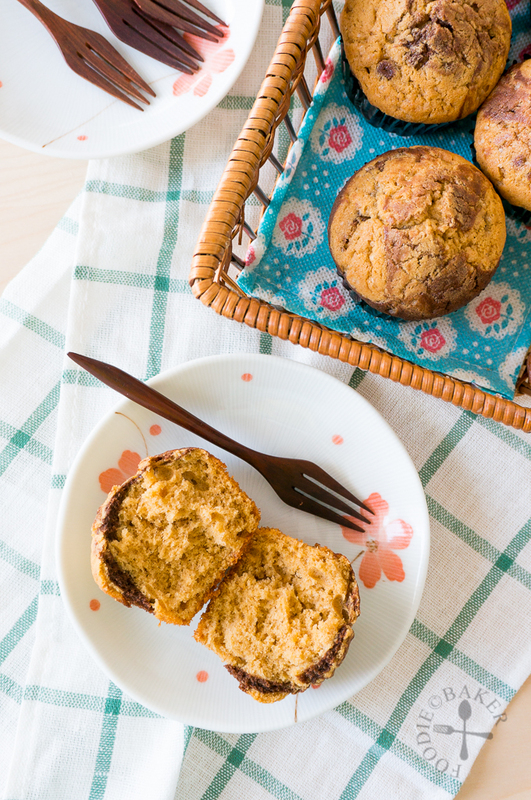 Instead of baking it into a loaf, I made it into mini cakes (or cakelets) using muffin tins. I also swapped the chocolate chips out with a little chocolate batter to create a slight marble effect on the cakes and I really love how they turned out. 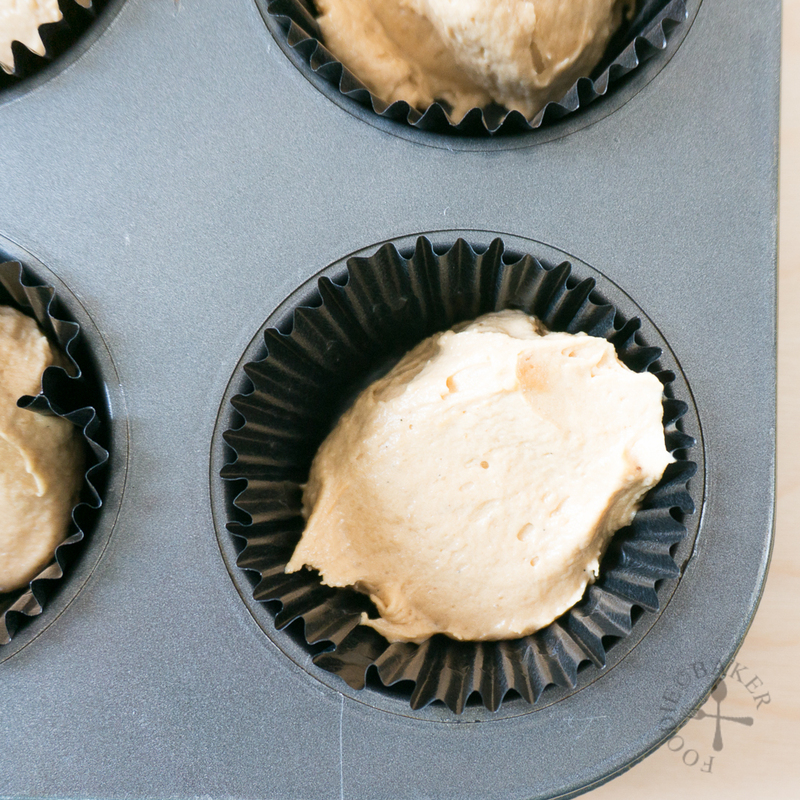 Looking back at the amount of ingredients used, these cakelets are not very guilt-free, given the high amount of butter and peanut butter used – approximately 20 grams of butter (including peanut butter) per cakelet! But they are rich, buttery and we love the peanut butter taste in every bite so much that they are definitely worth the calories. On a totally random and separate note, I’ve revamped my existing recipe index and done up a new ingredients index! The existing one is sorted “By Category” – now you can click on each category to see all the recipes in that category, and a simple “Back to Top” button can be found on the bottom right hand corner so you can go back up easily to choose another category! The other is “By Ingredients”, which is sorted slightly by category and listed in alphabetical order, I try to put in ingredients that I’ve used more than once, hopefully there will be more to add to the list in the future! Update 10/9/2016: Recipe index has been split into Sweet and Savoury categories, hopefully it’s easier to find recipe inspiration now! Okay now let’s get back to baking! 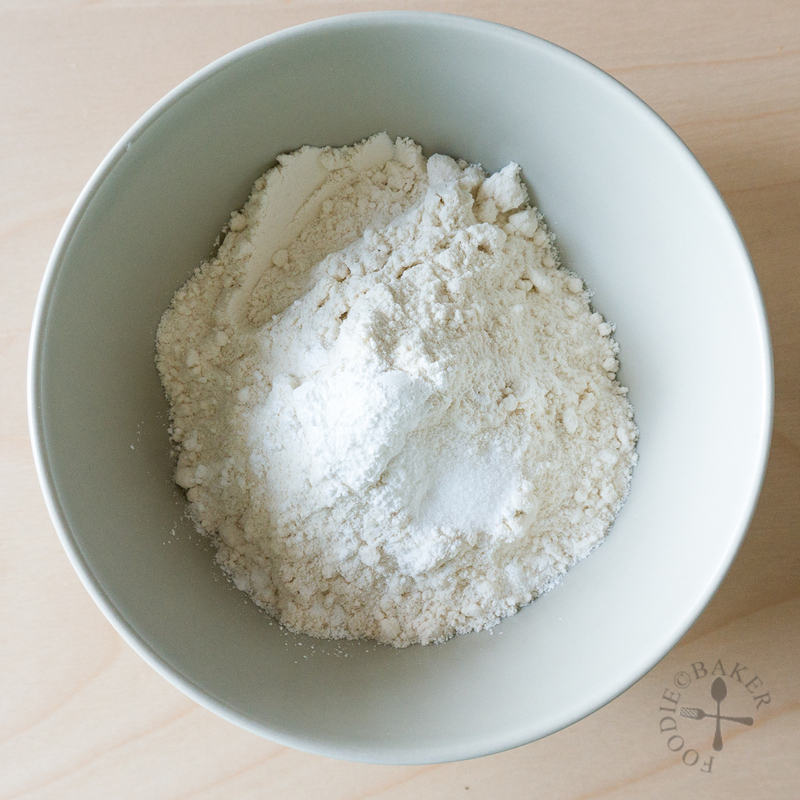 1) Measure flour, baking powder and salt in a small bowl. 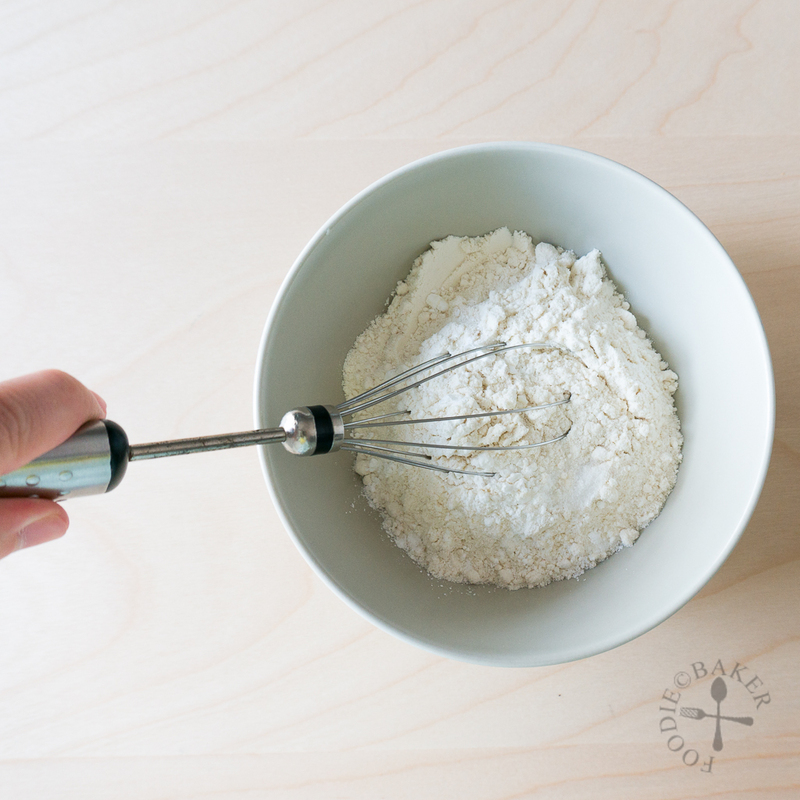 2) Whisk to to distribute the baking powder and salt evenly throughout the flour. 3) Mix cocoa with a little milk / water. 4) Stir to form a paste. 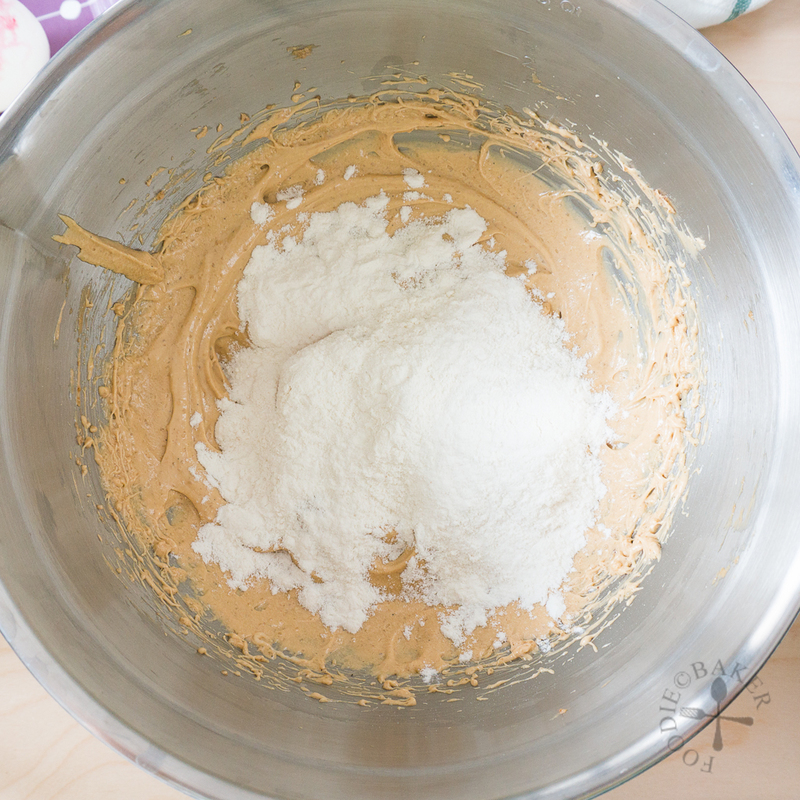 5) Cream butter, peanut butter and brown sugar together. 6) Beat in one egg until incorporated. 7) Followed by the second egg and the vanilla. 8) Add in the flour mixture and beat on low until almost incorporated. 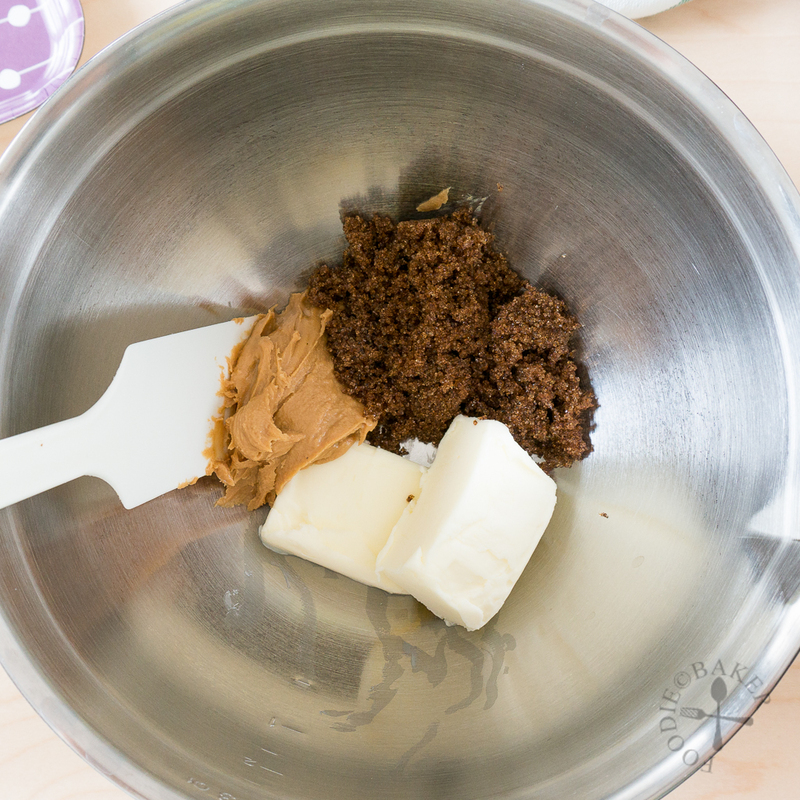 9) Use a rubber spatula and finish mixing in the flour mixture. 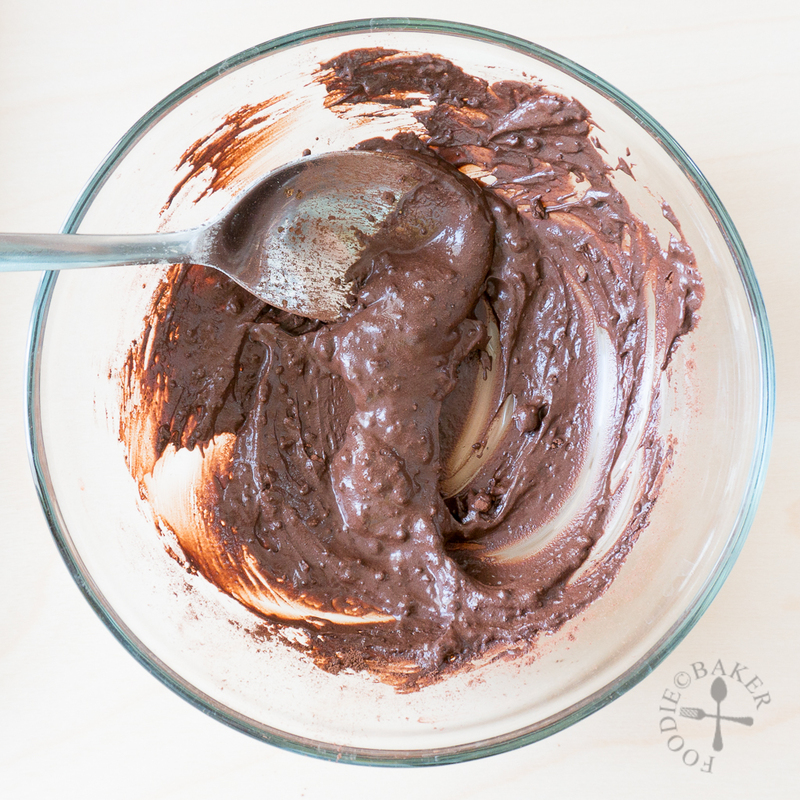 10) Scoop 1/3 of the batter and mix with the chocolate paste. 11) Mix gently! 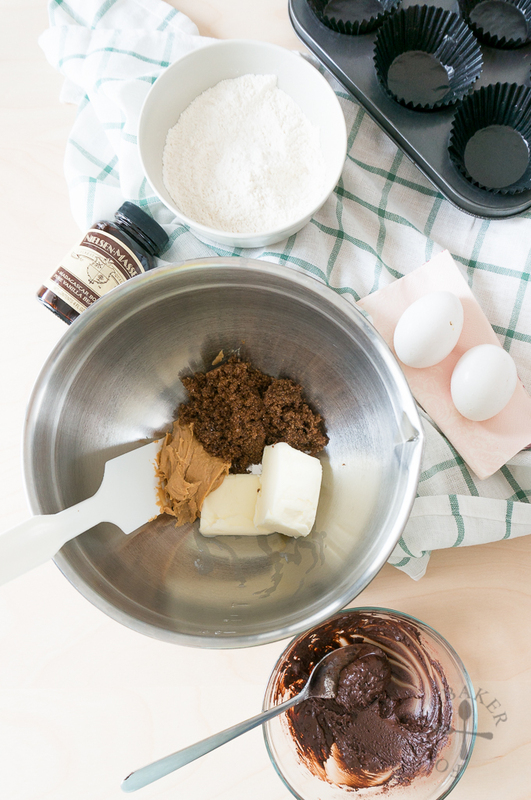 12) Alternate spoonfuls of peanut butter and chocolate batter. 13) Create a slight marble swirl with a toothpick or skewer. 14) And now they are ready to be baked! Preheat oven to 175C / 350F. Line muffin tins with paper liners. 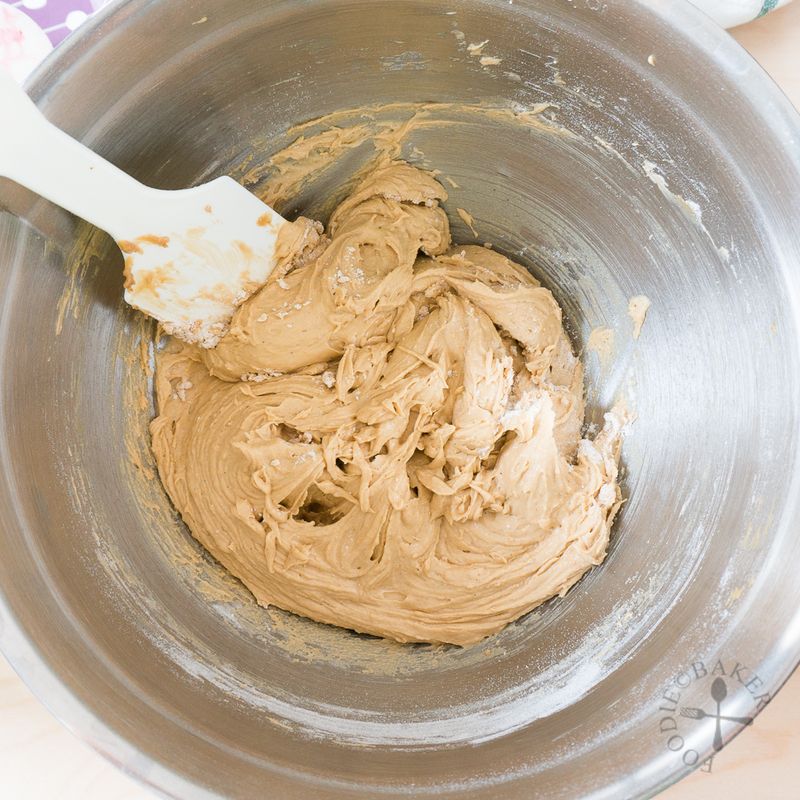 Whisk flour, baking powder and salt in a small bowl until the baking powder and salt are evenly distributed in the flour. Set aside. 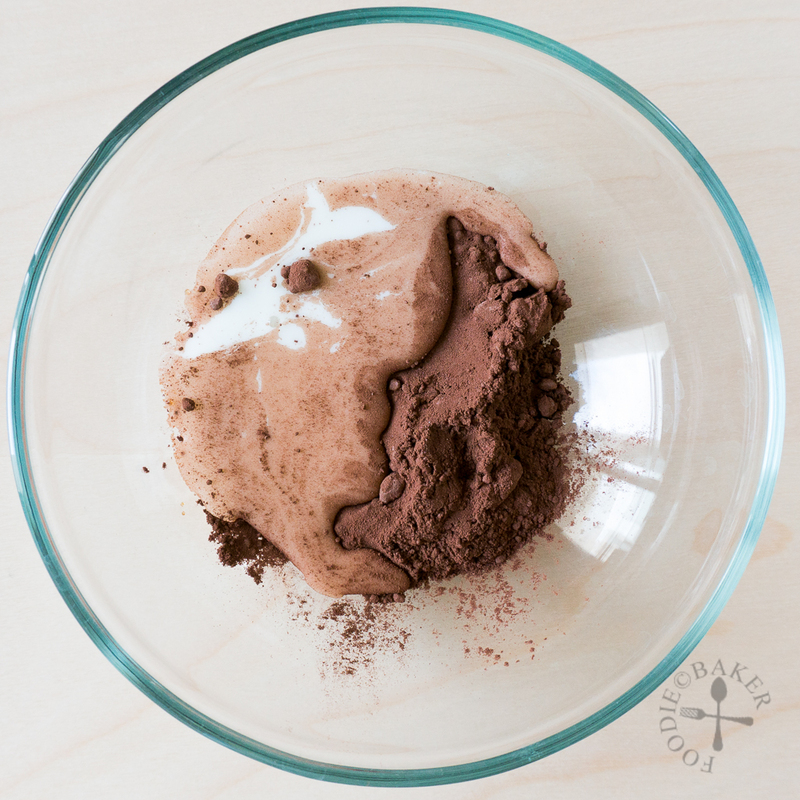 Whisk cocoa powder and water (or milk) in a separate bowl into a paste. Set aside. Cream butter, peanut butter and brown sugar on medium-high speed until pale, light and fluffy, scrapping down the sides occasionally, about 5 minutes. Add in one egg, beat on medium speed for 1 minute. 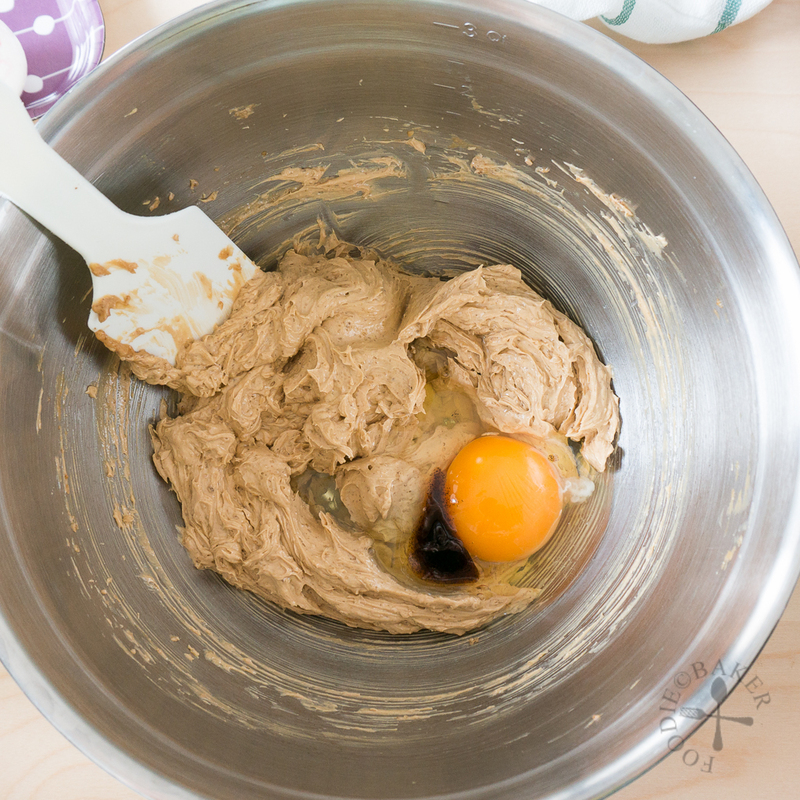 Scrap down the sides then add in the second egg and vanilla, and beat on medium speed for 1 minute until incorporated. With the mixer running on low, beat in the flour mixture until almost incorporated. 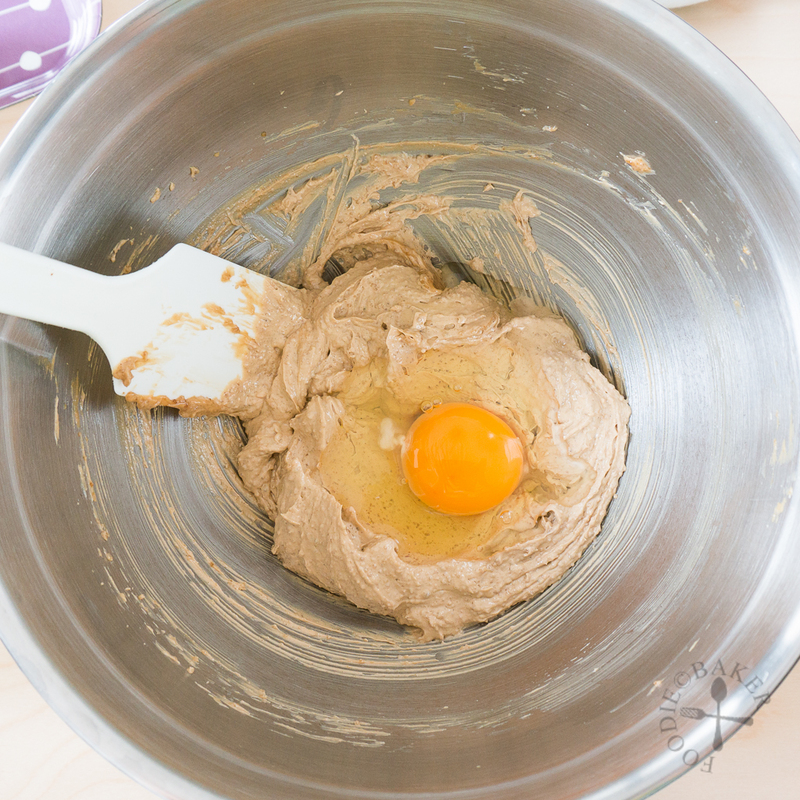 Use a rubber spatula and finish mixing in the flour mixture. 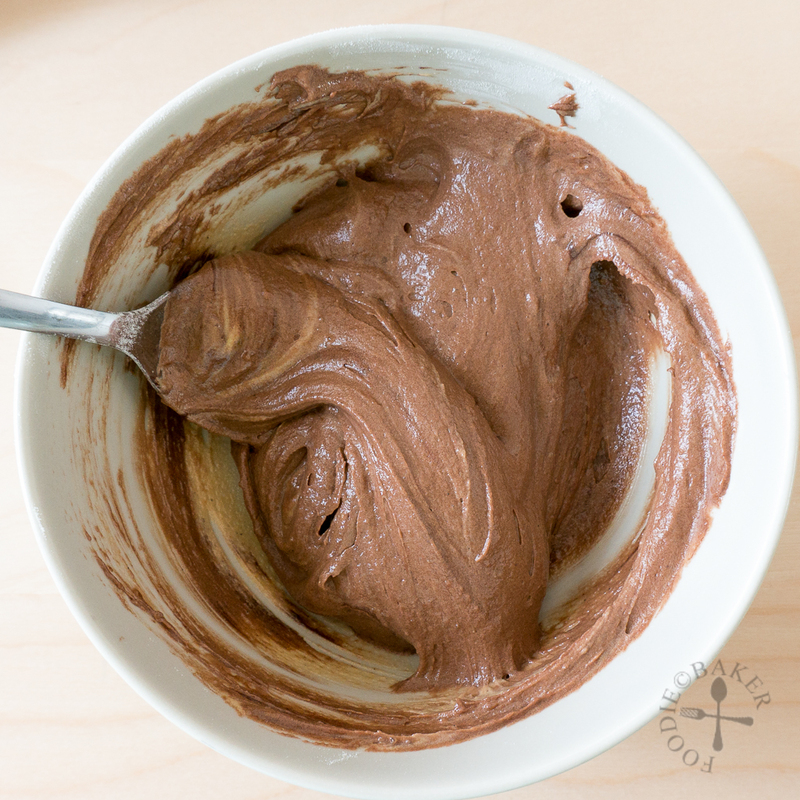 Scoop ⅓ of the cake batter into the cocoa paste and mix gently. 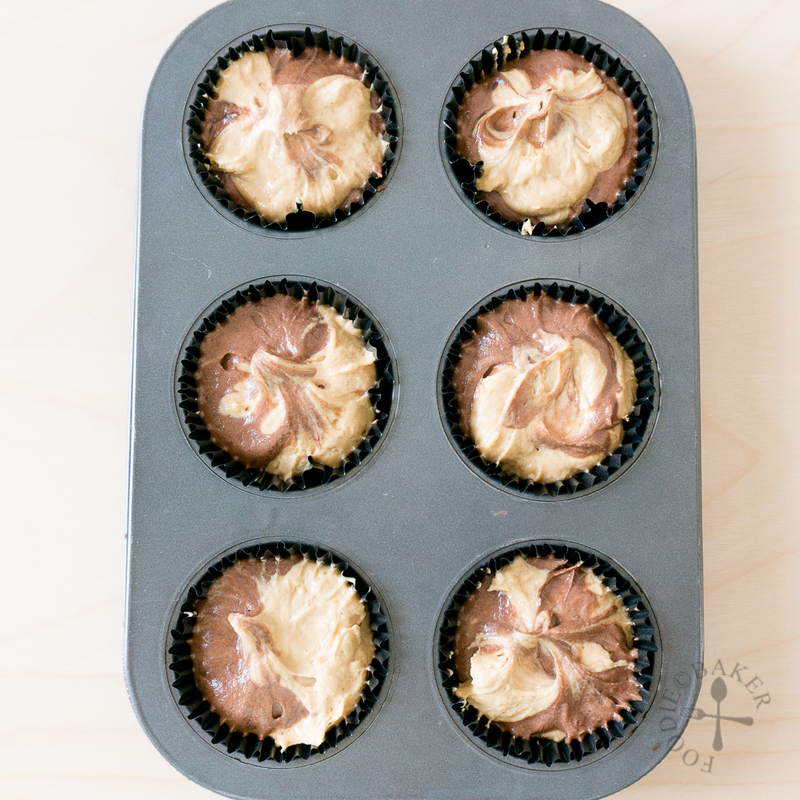 Scoop alternate spoonfuls of cake batter into the muffin tins, filling them about ¾ full. Swirl the cake batter slightly with a skewer or a toothpick. Bake for 15 to 18 minutes until a skewer inserted into the center comes out clean. Let cool completely before serving. I just absolutely love your blog! These look and sound soooo good. Peanutbutter and chocolate is always awesome. Thanks Lou! They are indeed a delicious combination! Have a great week ahead! The combination of peanut butter and chocolate is such a great one. I love these layered cupcakes, Jasline! Thank you Susan! Have an amazing week ahead! Oh these look so good! Yummy! Oh yes ! 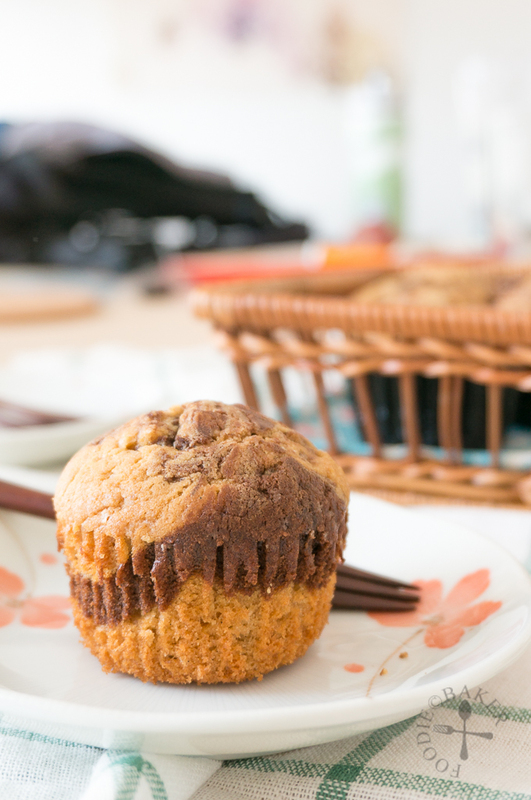 peanut butter cupcakes or muffins are my girl’s favourite. So yummy ! How nice if I have one for my tea break. Have a good weekend ! Hi Karen! Wish I can send you some for you and your girl! Hope you are having a great weekend too! such a classic – and delish – combo. Perfection! Thank you! It’s many people’s favourite combination! delicious little peanut butter choco cake! Thank you Dedy, they are indeed delicious! Thank you Hannah! I never knew peanut butter is high in protein and good fats, but since you say so, I’m gonna happily chomp one more for brekfast! Hi Charmaine! Haha give the bakes to your kids and ask them to help out with the household chores (since they are free), save your and their waistlines together! I’ll eat anything with PB and chocolate for breakfast. Love the marbling! These look so great! Thanks Mir! 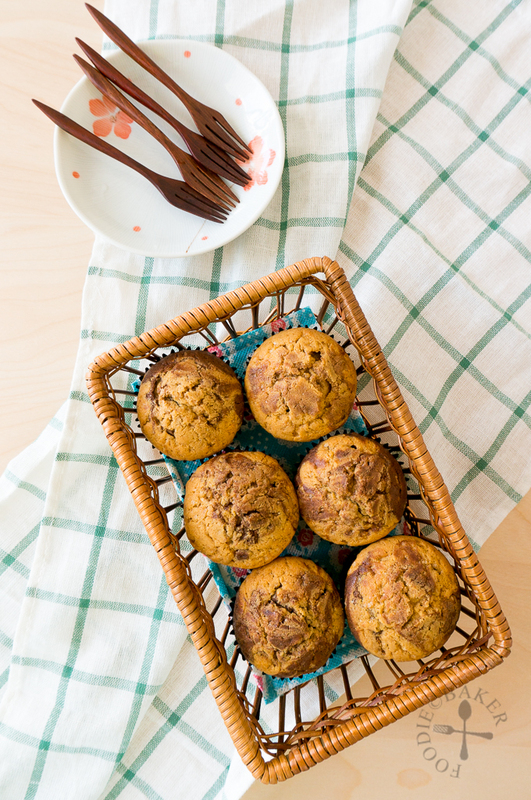 Peanut butter and chocolate combination is a great way to start the day! 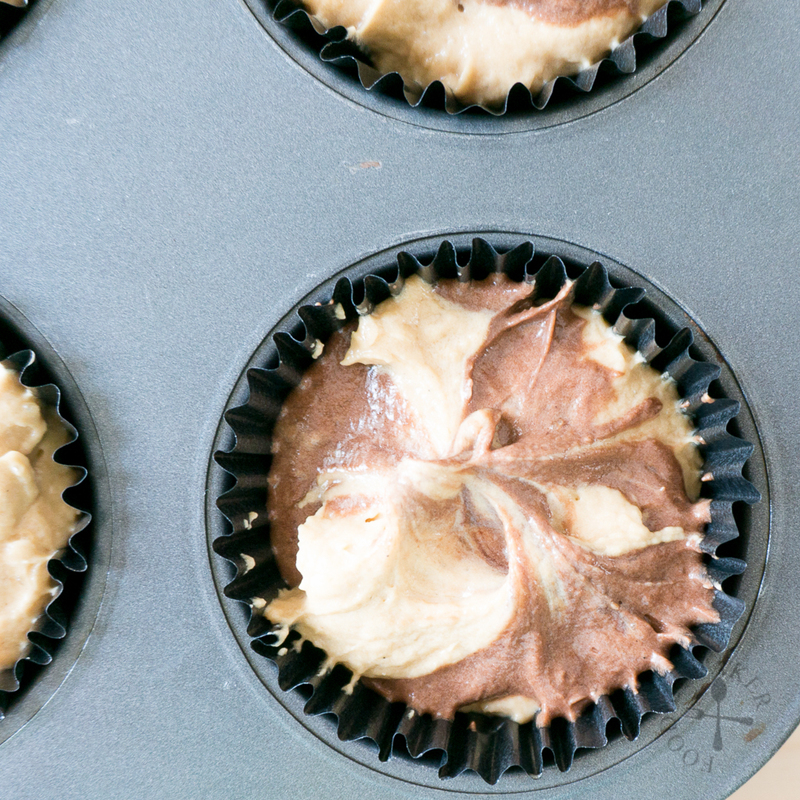 Jasline, you are making me weak in the knees looking at these delicious photos of decadent peanut butter and chocolate. 🙂 I really need to do the same thing and go through my recipe categories and clean it all up too. I guess I am kind of dreading it as I know its going to take a long time…Sharing and pinning, of course! Oh Bobbi, I started cleaning up the recipes since last year, but kept stopping halfway because it’s such a chore! I’m sure you will find a huge relief and a huge sense of accomplishment after you clean it up. 🙂 Thanks for the love as always and have a great weekend ahead! these are gorgeous! my husband loves peanut butter. my tastes on the subject are more moderate but throw it in a pound cake and i am definitely interested! Thank you Anna! It seems that I have captured both you and your husband’s interest with this cake, lovely! 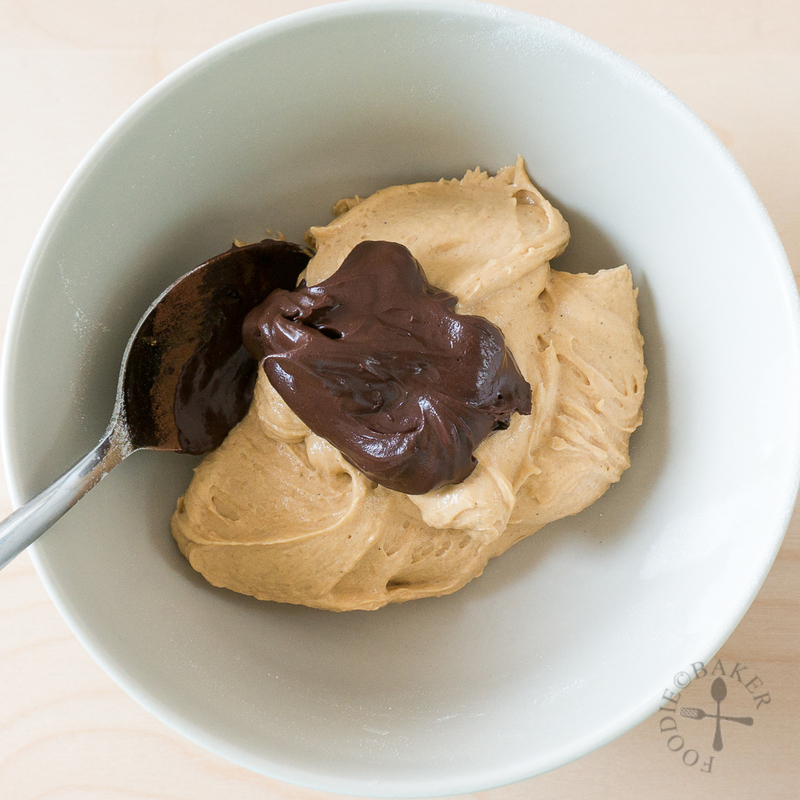 Peanut butter and chocolate are a winning combo, I agree its not guilt free but a great sweet treat! Thanks Dani! Afterall, we shouldn’t waste our calories on food not worth eating right? Oh yes, these do look tempting we all know that someone can’t do wrong when combining chocolate and peanut butter. Thank Katalina, it seems that everyone I know love chocolate and peanut butter together! Cannot agree more with you Monica, chocolate and peanut butter is a superb combination! Thanks Gloria, I love them too! These look very tempting and it’s one of my favourite flavour combos too. Nice way of arranging your recipes too. I find it all so daunting to try and arrange mine! Thanks Lorraine! I procrastinated for a super long time before I got down arranging the recipes, glad to finish arranging them!